The Aqua Sphere Kayenne ladies’ swimming goggles with polarized lenses are great for indoor, outdoor and open water swimming, including for use in triathlons, with their 100% UVA and UVB protection. The large and durable Plexisol® lenses boast 4-point expansion which gives 180-degree vision, and the lenses are anti-fog so your view is clearer. The silicone strap, the stabilising nose bridge and the one-touch, Quick-Fit Buckle™ combine for a comfortable and secure fit which can be adjusted simply even when wearing the goggles. for submitting product information about Aqua Sphere Kayenne Ladies Swimming Goggles - Polarized Lens We aim to answer all questions within 2-3 days. 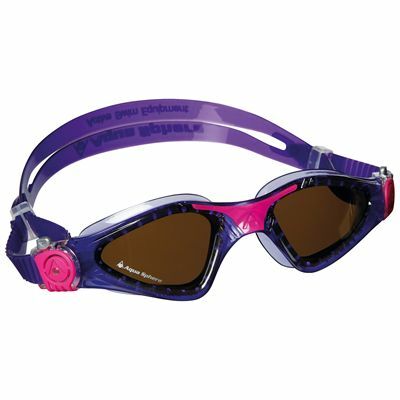 for submitting product information about Aqua Sphere Kayenne Ladies Swimming Goggles - Polarized Lens. We aim to answer all questions within 2-3 days. If you provided your name and email address, we will email you as soon as the answer is published. for submitting product review about Aqua Sphere Kayenne Ladies Swimming Goggles - Polarized Lens.